As self-proclaimed “scam” games experience the most usage amongst all decentralized applications (dApps), the emerging technology might be finding unsteady footing in the market. The triumphant success of Fomo3D and PoWH3D describe themselves as “exit scam” and “smart-pyramid” games — managing to draw attention to the whimsical state of dApps. Created by developers Team JUST, the dApps soared to 1st and 3rd most popular by user base and volume and hauled in nearly 200,000 ETH ($90.7 million) in the last seven days. Both were created in irony. 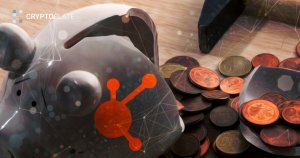 The two games revolve around the promise of dividends, playing on the controversial tactics of classical Ponzi and pyramid schemes — an increasingly heated subject in the cryptosphere, after such spectacular failures as BitConnect’s January 2018 exit. The sad thing about the FOMO3D and POWH3D scams is that the Ethereum community is *so* eager to see Eth DApps with healthy DAU numbers that they're willing to blind themselves to the fact that they're being victimized by literal, affinity fraud-Ponzi schemes. And amongst the top 20 (dApps) by usership, novelty indeed appears to be a winning formula. Alongside Fomo3D and PoWH3D, there’s the notoriously Ethereum-consumptive CryptoKitties, dice2win’s “simple and fair dice game”, or HyperDragons’ “cute dragons collectible game”. As one of blockchain’s most embraced usage cases, dApps are often regarded as the future of computing — a decentralized, censorship-resistant, transparent and immutable alternative to the applications of today. From Mainframe’s censorship-resistant messaging platform, to the DAO’s Decentralized Autonomous Organization — dApps could well be central to technology’s next paradigm shift. Judging by the current manifestation of dApps, however, it may be some time before additional life-altering applications of the technology are realized.